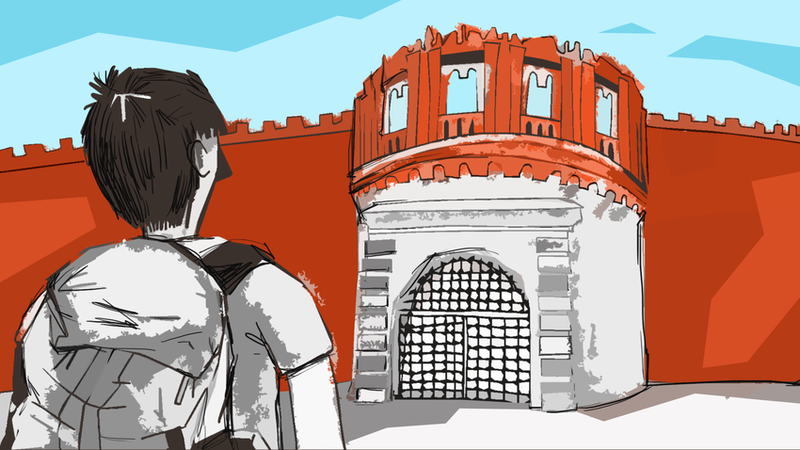 It's easy to get inside this red-wall fortress - all you need is following the instructions. The fortress is Russia’s heart indeed, but like any other fortress it may be hard to enter. With these instructions, though, it will be a piece of cake for you. Unlike Red Square, the Kremlin is always guarded and you need tickets to get in. Fair enough: The citadel is basically a collection of architectural treasures and museums as well as the president’s official residence. Here are answers to some of the most popular questions about visiting the Kremlin. What exactly can I see inside the Kremlin? As a museum complex, the Kremlin includes the Kremlin Armory (the Armory Chamber), former royal arsenal built in the 19th century, three cathedrals, two churches, and the Ivan the Great Bell Tower (the highest building in the Kremlin with spectacular panoramic views). All this, of course, is surrounded by the iconic red walls and 20 towers. The walls of the Moscow Kremlin were built back in 14th century, though most of the cathedrals and palaces appeared a century or so later. The Armory contains a unique collection of royal objects so you can see real crowns once belonging to Russian tsars (and so much more). When can I visit the Kremlin? It depends on the season. From May 15 to Sept. 30, the Kremlin Museums are open from 09:30 to 18:00 and from Oct. 1 to May 14from 10:00 to 17:00. Thursday is always a day off. Bear in mind that ticket windows near the Kremlin close an hour earlier so don’t be late. It depends on what you want to see as there are various tickets. 1) For visiting the architectural ensemble of the Cathedral Square (center of the Kremlin) which includes most palaces and churches – 500 rubles ($8). 2) For visiting the Armory Chamber – 700 rubles ($12). For more information, visit Kreml.ru – it’s available in English. Pay attention: standard tickets don't include visiting the Diamond Fund Exhibition controlled by GoKhran – to visit it, you might need a separate trip. The information is here. OK, how do I get to the ticket offices? There’s only one place where you can buy tickets to the Kremlin on site – the official ticket windows under the Kremlin wall. The closest metro stations are Borovitskaya (grey line), Alexandrovsky Sad (light-blue line), Arbatskaya (blue line) and Biblioteka Imeni Lenina (red line). Use the exit to Alexandrovsky Garden (Alexandrovsky Sad) and walk towards Kutafya Tower, which is easy to recognize – it’s the small white barbican one. Next to the tower you’ll find the ticket offices. Online tickets are available on the official website of the Moscow Kremlin Museums. After paying you’ll be sent an electronic voucher on your email. Tickets are available 17 days before the date of your visit. This website is the only webpage where you can buy tickets. Should I print the voucher? It’s better to do this as you should present your voucher in the ticket offices 6, 7, and 8. Nevertheless, as the instruction goes: “If you made the payment but didn’t receive the voucher, your order is still valid.” Just tell the person in the ticket office the number of your order and present your ID. In the previous version of the article we wrongly stated that royal arsenal was built in the 16th century and confused prices for visiting the architectural ensemble of the Cathedral Square and the Armory Chamber. Russia Beyond sincerely apologizes for the misinformation. Why do Russians call Moscow the Third Rome?